The O’Reilly Data Show Podcast: Alon Kaufman on the interplay between machine learning, encryption, and security. In this episode of the Data Show, I spoke with Alon Kaufman, CEO and co-founder of Duality Technologies, a startup building tools that will allow companies to apply analytics and machine learning to encrypted data. In a recent talk, I described the importance of data, various methods for estimating the value of data, and emerging tools for incentivizing data sharing across organizations. As I noted, the main motivation for improving data liquidity is the growing importance of machine learning. We’re all familiar with the importance of data security and privacy, but probably not as many people are aware of the emerging set of tools at the intersection of machine learning and security. Kaufman and his stellar roster of co-founders are doing some of the most interesting work in this area. Four or five years ago, techniques for running machine learning models on data while it’s encrypted were being discussed in the academic world. We did a few trials of this and although the results were fascinating, it still wasn’t practical. … There have been big breakthroughs that have led to it becoming feasible. A few years ago, it was more theoretical. Now it’s becoming feasible. This is the right time to build a company. Not only because of the technology feasibility but definitely because of the need in the market. The O’Reilly Data Show Podcast: Harish Doddi on accelerating the path from prototype to production. In this episode of the Data Show, I spoke with Harish Doddi, co-founder and CEO of Datatron, a startup focused on helping companies deploy and manage machine learning models. 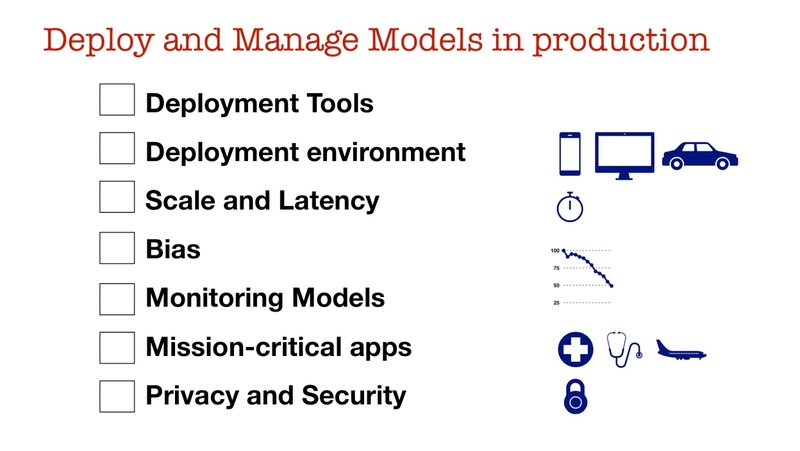 As companies move from machine learning prototypes to products and services, tools and best practices for productionizing and managing models are just starting to emerge. Today’s data science and data engineering teams work with a variety of machine learning libraries, data ingestion, and data storage technologies. Risk and compliance considerations mean that the ability to reproduce machine learning workflows is essential to meet audits in certain application domains. And as data science and data engineering teams continue to expand, tools need to enable and facilitate collaboration. In one of the companies where I worked, we had built infrastructure related to Spark. We were a heavy Spark shop. So we built everything around Spark and other components. But later, when that organization grew, a lot of people came from a TensorFlow background. That suddenly created a little bit of frustration in the team because everybody wanted to move to TensorFlow. But we had invested a lot of time, effort and energy in building the infrastructure for Spark. … We suddenly had hidden technical debt that needed to be addressed. … Let’s say right now you have two models running in production and you know that in the next two or three years you are going to deploy 20 to 30 models. You need to start thinking about this ahead of time. The O’Reilly Data Show Podcast: Christine Hung on using data to drive digital transformation and recommenders that increase user engagement. In this episode of the Data Show, I spoke with Christine Hung, head of data solutions at Spotify. Prior to joining Spotify, she led data teams at the NY Times and at Apple (iTunes). Having led teams at three different companies, I wanted to hear her thoughts on digital transformation, and I wanted to know how she approaches the challenge of building, managing, and nurturing data teams. I also wanted to learn more about what goes into building a recommender system for a popular consumer service like Spotify. Engagement should clearly be the most important metric, but there are other considerations, such as introducing users to new or “long tail” content. For us, engagement always comes first. At Spotify, we have a couple hundred people who are just focused on user engagement, and this is the group that creates personalized playlists, like Discover Weekly or your Daily Mix for you. We know our users love discovery and see Spotify as a very important platform for them to discover something new, but there are also times when people just want to have some music played in the background that fits the mood. But again, we don’t have a specific agenda in terms of what we should push for. We want to give you what you want so that you are happy, which is why we invested so much in understanding people through music. If we believe you might like some “long tail” content, we will recommend it to you because it makes you happy, but we can also do the same for the top 100 track if we believe you will enjoy them. Music is like a mirror, and it tells people a lot about who you are and what you care about, whether you like it or not. We love to say “you are what you stream,” and that is so true. As you can imagine, we invest a lot in our machine learning capabilities to predict people’s preference and context, and of course, all the data we use to train the model is anonymized. We take in large amounts of anonymized training data to develop these models, and we test them out with different uses cases, analyze results, and use the learning to improve those models. Just to give you my personal example to illustrate how it works, you can learn a lot about me just by me telling you what I stream. You will see that I use my running playlist only during the weekend in early mornings, and I have a lot of children’s songs streamed at my house between 5 p.m. and 7 p.m. I also have a lot of tango and salsa playlists that I created and followed. So what does that tell you? It tells you that I am probably a weekend runner, which means I have some kind of affiliation for fitness; it tells you that I am probably a mother and play songs for my child after I get home from work; it also tells you that I somehow like tango and salsa, so I am probably a dancer, too. As you can see, we are investing a lot into understanding people’s context and preference so we can start capturing different moments of their lives. And, of course, the more we understand your context, your preference, and what you are looking for, the better we can customize your playlists for you. “Transforming organizations through analytics centers of excellence”: Carme Artigas on helping enterprises transform themselves with big data tools and technologies. 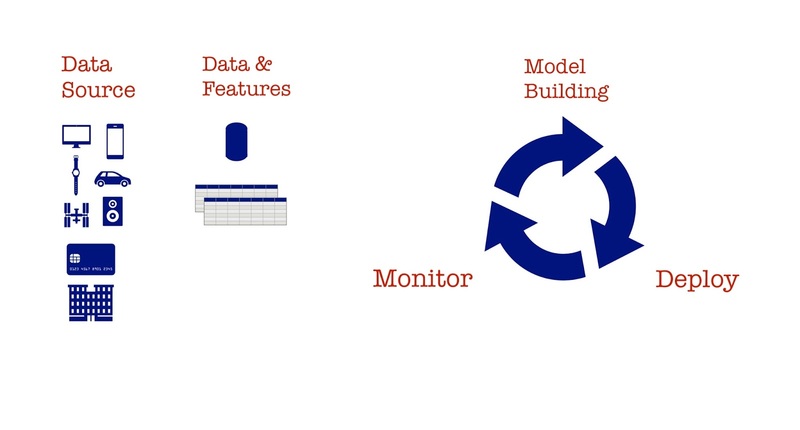 “A framework for building and evaluating data products”: Grace Huang on lessons learned in the course of machine learning product launches. “How companies can navigate the age of machine learning”: to become a “machine learning company,” you need tools and processes to overcome challenges in data, engineering, and models. To become a “machine learning company,” you need tools and processes to overcome challenges in data, engineering, and models. Over the last few years, the data community has focused on gathering and collecting data, building infrastructure for that purpose, and using data to improve decision-making. We are now seeing a surge in interest in advanced analytics and machine learning across many industry verticals. In this post, I share slides and notes from a talk I gave this past September at Strata Data NYC offering suggestions to companies interested in adding machine learning capabilities. The information stems from conversations with practitioners, researchers, and entrepreneurs at the forefront of applying machine learning across many different problem domains.